PDB Lockdown Profiles to Restrict Operations on PDBs Starting with this release, in a multitenant environment, you can use PDB lockdown profiles to restrict functionality available to users in a given PDB. 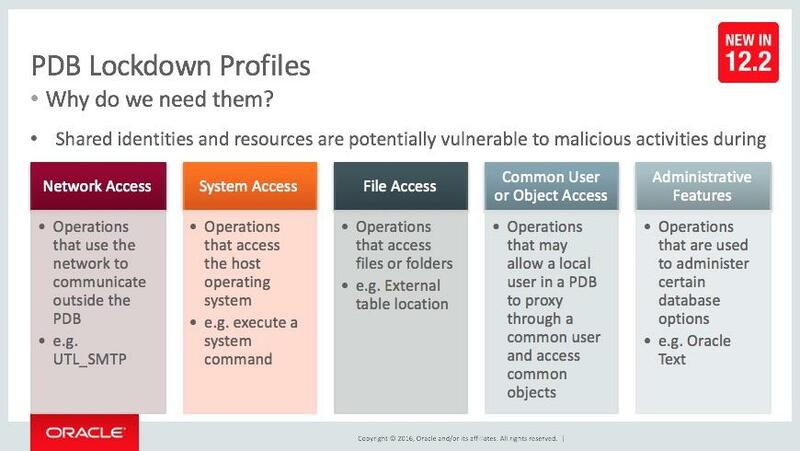 PDB lockdown profiles enable you to restrict the access the user has to a set of features individually or in a group. This feature is designed to enhance security for situations in which identities are shared among PDBs.